This is a guest post from local recruiter Stuart TenHoor, who provides some valuable insight on how he uses LinkedIn to evaluate potential candidates with some tips on how you can harness LinkedIn for your Job Search! Are you using online resources to maximum benefit for your job search? Learn more here. Today’s everyday technological advances are head spinning, and that applies in the job finding and career building arena as well. Who would have looked for a job without a resume in past years? Today, the question is who would look for a job without being on LinkedIn? As a legal search consultant (recruiter/headhunter others might call me), when I look for talent to help my law firm or corporate clients, I do it in multiple ways. One way I always use is to check a candidate’s resume against LinkedIn. Essentially LinkedIn is making advances toward replacing the resume as the most important job finding and career building tool. LinkedIn does three things for you. First, it establishes a certain aura of “being with it.” Some employers would see you as being behind the times or not taking yourself seriously if you lack a well written and informative summary of your career on line. Further, most entries have a photo with them. Ten years ago I frowned on candidates with photos on their resumes; today, the savvy entries all include a photo. If you don’t have one, probably someone you know has a digital camera or smart phone that can produce quality photos. You don’t have to look like a movie star to produce a confident looking photo. Second, you control entirely what goes in your LinkedIn profile so, as in writing a resume, put your best foot forward. The rules for a LinkedIn entry are much looser. Not everything should go it your entry–just the highlights. So spend some time thinking about how you want to present yourself on LinkedIn; in other words, those things that show you headed in a clear direction. I will uniformly ask a candidate to rewrite her resume if it tries to be “all things to all people.” When I work with a Supreme Court law clerk looking for a position, their resume is invariably one page with a lot of white space. So do your best to project how your abilities will meet an employer’s need, as succinctly as possible. The more your confidence oozes out of your resume/LinkedIn entry, the greater your chance of landing an interview for a job you want. Finally use LinkedIn in searching for information about employers that interest you. Find out who the President and key officers or the person interviewing you is by first using the employer’s website. Your next step is to then look up the individuals on LinkedIn and see their career paths. You might find out that a prospective interviewer went to your high school or college, or they are active in a civic association of which you are also a member. Remember employers want to hire people that “fit in” and learning about potential commonality that you share with a prospective employer’s key people can help you win big bonus points. LinkedIn is an excellent tool which should be in the “toolbox” of every job seeker and career builder. I am sure there are many uses I have not even begun to tap into even with my years of experience with it! 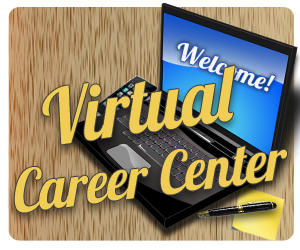 There are many low-cost seminars and how to use it for your career advancement purposes. Explore all tools to help you find that next good job but be sure that LinkedIn is one of them! Stuart TenHoor is President of TenHoor Legal Search Services, Inc. and has over two decades of experience matching candidates with the right employers. You can learn more about him at stuarttenhoor.com. Want help with updating your LinkedIn profile? Contact us at410-782-3002 xt 501 to schedule an appointment! You are currently reading A Recruiter’s Perspective: Staying Ahead in 2013 with LinkedIn at Pinnacle Empowerment Center.